Explore the charming regions along the Danube, travel across common borders to catch a glimpse of the spectacular scenery across Central Europe. Board your flight to Berlin. On arrival at Berlin airport, clear immigration & customs and board the coach. Berlin is the heart of modern Germany, with a beat that echoes through grand public buildings, glorious museums and theatres. Embark on a city tour of Berlin and visit the place where Adolf Hitler rose to power and commenced his World War II. You will also see the famous Berlin Wall that divided the city till reunification in 1989. Stop at the Brandenburg Gate in Pariser Platz- symbol of the partition of Germany. See the Reichstag, the German Parliament Building (from outside), a 19th century building that boasts a 21st century glass and steel cupola. Visit Alexander Platz, the city centre where you will see the World Time Clock and many more historical monuments. Today after breakfast you head towards Poznan, former capital of Poland and now a centre of culture and academic studies. 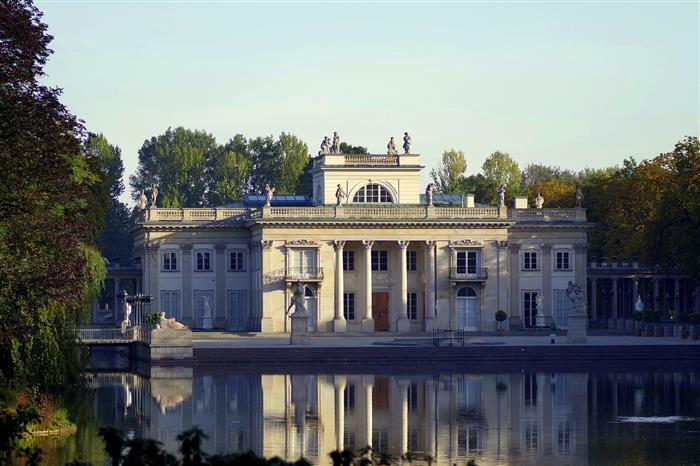 Set on the banks of the Warta River, it is a 1,000 year old city with a wonderful mix of Gothic and Baroque architecture, the 10th century cathedral Basilica of St. Peter’s, the Dzialynski Palace and fine Opera House. Have a walking tour to see the Old town square where crowds gather on the hour to watch the 16th century town hall clock strike and many of the city’s fascinating attractions. 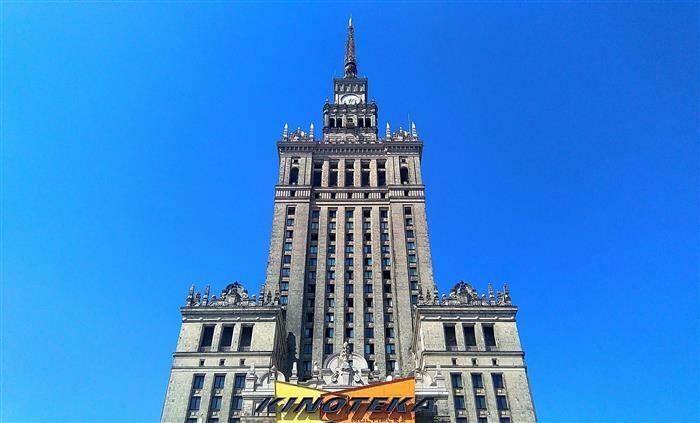 Continue your journey into Warsaw and check into the hotel for your two nights. After breakfast, today you embark on a walking city tour of Warsaw, the capital city of Poland. It’s the city sense of gritty realism and a grim determination to overcome the onslaughts of a turbulent history that makes it an interesting and thought provoking place to visit. You start your city tour by visiting Lazienki Park, Theatre Square with grand opera and former Town hall building, Belvedere Palace, the Ghetto Memorial, Nowy Swiat and Krakowskie Przedmiescie, the most famous and elegant avenues, the Presidential Palace, University of Warsaw, Holy Cross Church with Chopin's heart, Copernicus Statue. The Old Town, St. John's Cathedral, with its magnificent Gothic interiors, St. Ann's Church and the Castle Square with the Column of King Sigismund III Vasa. After an early breakfast, you drive to Czestochowa to visit the beautiful 14th century Monastery at Jasna Gora, which houses the famous painting of the ‘Black Madonna’, cherished as the ‘Queen of Poland’ and the country’s national symbol. Later in the afternoon you will visit the Concentration Camp at Auschwitz and its chilling reminders of the cruelty of World War II. Then enter into medieval Krakow, Poland’s cultural capital. 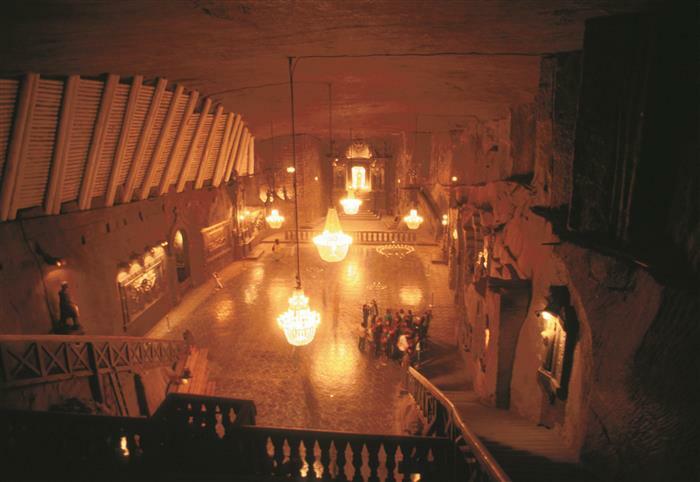 After breakfast, you depart for an exciting excursion to Wieliczka salt mine. It's the oldest operational salt mine in Europe which has been working for over 700 years. Since 1978, the mine is on UNESCO's list of World Class Landmarks of Cultural and Natural Heritage, listed among the top 12 attractions in the world. In the afternoon enjoy a walking city tour of Krakow, where you visit the Barbican, Florian Gate, the Old Market Square, the former Jewish district and the Wawel Hill Royal Castle and Cathedral. The evening is free for shopping or relaxation. Today you will drive into the foothills of the Tatra Mountains, a region of great scenic beauty, with waterfalls, lakes, caves, forests, rivers and charming little mountain towns and villages. Your journey continues through Slovakia and finally into Hungary to ‘Budapest’ the Queen of the Danube. This capital city was created out of the unification of separate historic towns of Buda, Pest and Obuda. Budapest possesses a rich and fascinating history as well as a vibrant cultural heritage. It is also known as the ‘City of Spas’. Today enjoy a walking city tour of Budapest featuring Buda Castle which dominates the twin cities of Buda and Pest, separated by the broad ribbon of the Danube. You See Heroes’ Square which typifies the modern capital, the parliament building, Margaret Bridge, the Fishermen’s Bastion which offers stunning views over the city and the Mathias Church, the Elizabeth Bridge, the Opera and St Stephen’s Basilica. This evening you may take an optional tour of Budapest by night. After breakfast, enjoy the breathtaking scenery as you drive pass Visegrad along the Danube to see Esztergom: “Taj Mahal of Hungary”, which is the former capital of Hungary, the oldest historic town and sacred town overlooking by a colossal hilltop basilica. Later you’ll drive into Slovakia to visit Bratislava, capital of the Republic of Slovakia. Here you’ll embark on a walking city tour of the old town. After free time for shopping you continue your journey to Vienna. Your day starts with an interesting walking tour taking in the best known highlights of Baroque Vienna, for centuries the seat of the powerful Habsburg Empire, also known as the ‘City of Music’. You first visit the Schonbrunn Palace (from outside) to view the elegant gardens. Later you set your watches back 100 years as you enjoy the musical city of Vienna. You will see the famous landmarks like the Grand State Opera House, Parliament building and the impressive Town Hall, before strolling around Heroes ‘Square to marvel at the vast Hofburg Palace, home to 22 museums and St. Charles Church. Bid farewell to Vienna today as you cross the Austrian border into Czech Republic. On the way to Prague, you visit the world heritage town of Kutna Hora. Here you will see the famous St Barbara’s Cathedral (from outside) dedicated to the miners and Kostnice and Ossuary Sedlec Chapel (Church Of Bones), before arriving into Prague. The Czech capital is a beautiful treasure trove of Gothic and Baroque architecture, much of it unchanged for centuries. The historical core of the capital of the Czech Republic is declared a Prague Monument in the UNESCO World Cultural Heritage. Prague is known as ‘The Golden City’. Your walking city tour includes visit to Prague Castle (from outside), Charles Bridge, St. Vitus’ Cathedral, Old Town, Astronomical Clock and much more. In the evening, you will be transferred to the airport for your return flight. Enjoy the vibrant and buzzing night walking tour along the river covering old town and overlooking the Bohemian charming Castle and the Charles bridge. Some of the famous city night clubs & pubs and street musicians, Prague has its own charm in the night!